It's been a loooong year, everyone, but I'm hyped to say that we're finally here: The holidays are back (well almost, that is) and with them, a whole host of festivities to get stoked about. It's not even Halloween yet (godspeed) but that hasn't stopped the influx of invitations from hitting our inboxes. And well, amidst the pandemonium of present shopping, cookie making, movie watching, and just day-to-day duties, that means there's very little time left for crafting the perfect party hairstyle. That's why, come November when it seems there's a different event every week, it's crucial to have some go-to styles up your sleeve that are foolproof, a little fancy schmancy, and most importantly: fast. As in, can-do-at-your-desk-in-under-10-minutes fast. So to send you into the holiday season on the right foot, we're serving you five failsafe hair looks that anyone, no matter your hair type, can pull together in 10 minutes or less — with the help of hair legends Kristin Ess, Matt Fugate, and Tippi Shorter, natch. 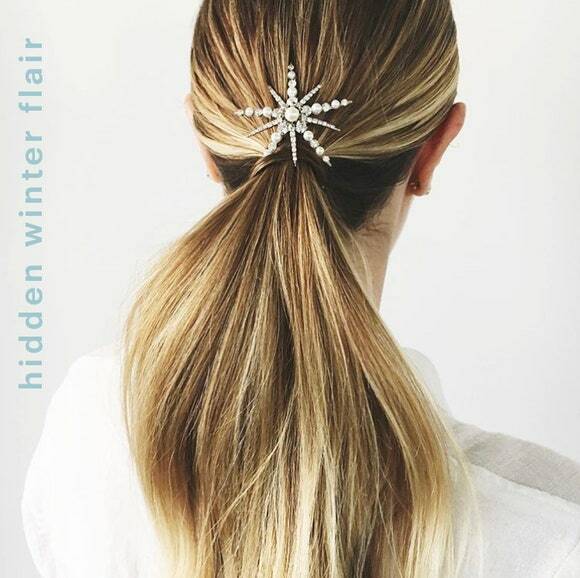 Go ahead: Consider your holiday hair inspo done. For the ultimate last-minute party look, ribbon is your best friend. Whether you have pin-straight, wavy, or super curly strands, it will come together in no time — and all you need to do is know how to tie a ribbon. 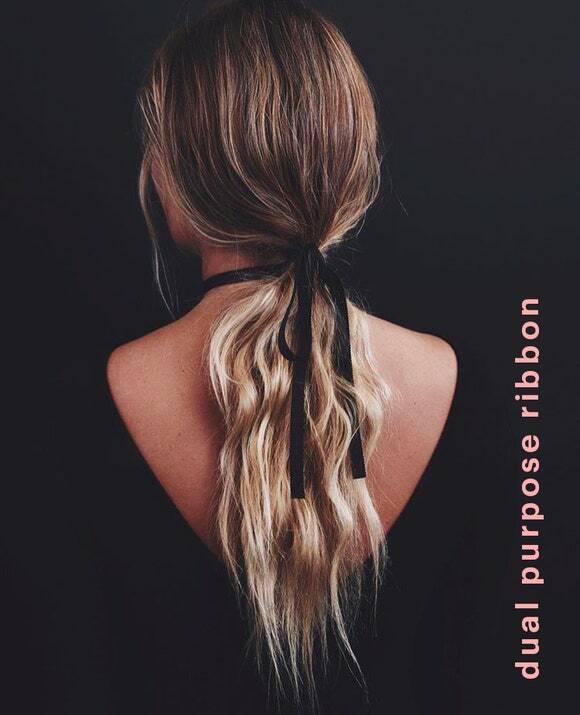 "Take a 1/4” ribbon (two yards of it) and tie it around your neck loosely like a choker and then tie it around your ponytail," says Ess. 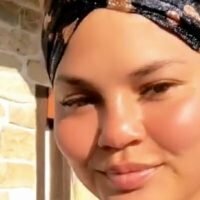 "Not only is this a cheap and chic style, but you also get two accessories out of it," she added. Genius. Shorter also adds that a sleek ponytail is always a great go-to for events. The key to amping your hair game around the holidays is accessorizing, accessorizing, accessorizing. 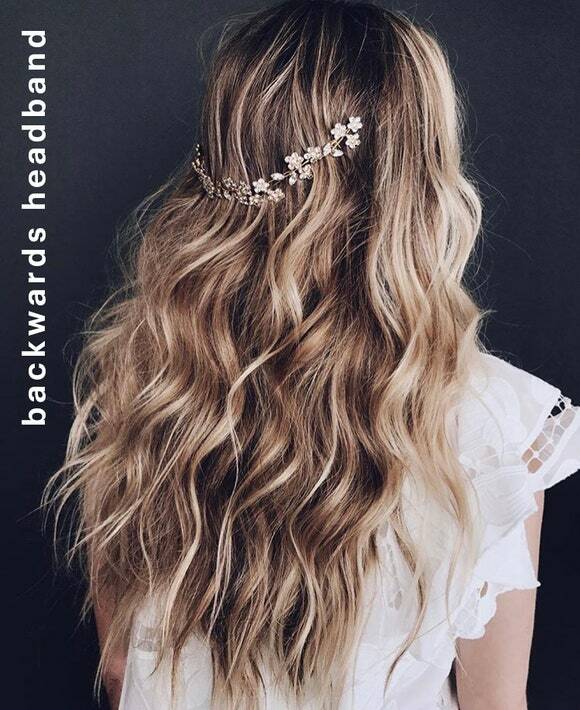 Not only can you get away with more sparkle and shine around this time of year, but it's an instant way to take an "everyday" hair look up a few notches. "A simple ponytail topped off with something that sparkles says, 'I’m ready to party'," explains Ess. Shorter says you can also try adding a row of rhinestones down your part for a glam effect. 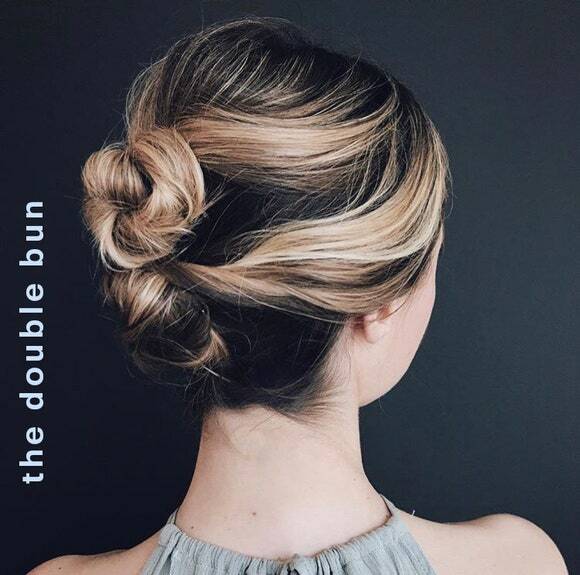 Come the holiday season, consider swapping out your signature low bun for a more voluminous, look-at-me style like the one above. 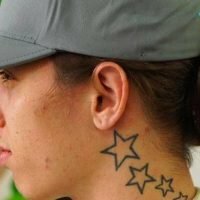 Ess says all you need to do is tease your crown for added volume and make two quick buns, one stacked right on top of the other. It can be done in five minutes flat — if that. Similarly, Fugate always loves a good bubble pony, which has a similar vibe and will work especially great on long hair. "Split hair into two sections like a high pony and low pony and then bind them together with an elastic," he explains. "Then use a new elastic every two inches down the ponytail and create a little bubble." 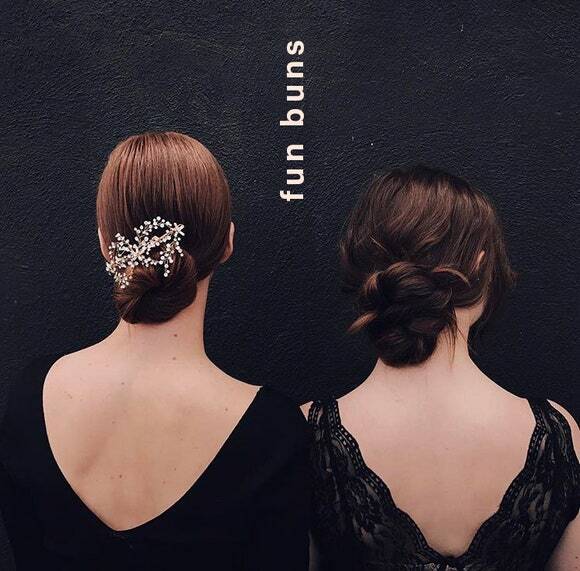 Fact: When in doubt, you can't go wrong with a classic bun in whatever style you want — high, low, braided, you name it — it'll get the job done. And in lickety-split fashion to boot. Ess recommends adding an accessory to a no-frills low bun and braiding longer hair first for a plaited bun style that won't go unnoticed. "Sprinkle it with some braiding powder, wrap it in a bun, pin it and gently pull it apart to add volume," she says. Fugate also touts this as one of his go-to easy event styles. 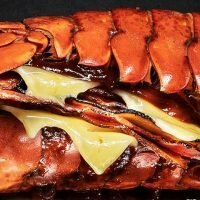 This Hamburger Uses Fried Lobster Tails as Buns: Would You Eat It?